Our Sunny Isles cleaning services are designed to be customized. When you hire us for housekeeping or commercial property cleaning, we’ll give you service that is tailored to your particular needs. 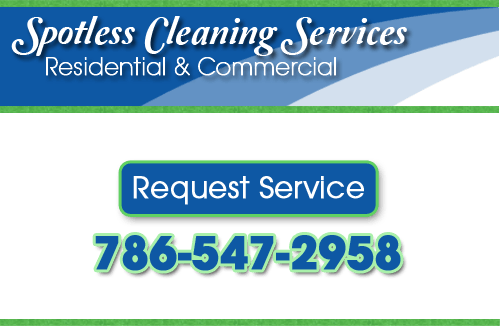 We can clean any property at all, whether it’s a large business office or a small house, and we’re very flexible with our scheduling. Our first priority is customer satisfaction, so we work with each of our clients to make sure we’re bringing them exactly the services they need. We consider ourselves a part of the community, so we make sure that all of our cleaning products are up to local health and safety guidelines. We also make sure that they won’t do any harm to the environment. If anyone in your household needs special consideration due to allergies, illness, or any other reason, let us know when you schedule an appointment. We’ll make sure to use products that are safe for everyone in your home. Everyone enjoys having a clean, organized living space. Sometimes, though, it’s just not practical to get all the cleaning done yourself. Sometimes we get too busy or too stressed to make the time. Or you may have an illness or mobility issue that prevents you from getting everything done that you need to. Whatever the reason, no one keeps their home as clean as they’d like one hundred percent of the time. Out Sunny Isles housekeepers are available to take that load off of your shoulders and give you a clean, relaxing place to live. Whether you’ve gotten behind and need a one-time deep cleaning, or you’d like to schedule monthly or weekly regular cleanings, we’re looking forward to working with you. We’ll take care of everything in your home, from dusting the mantle to cleaning your baseboards. Our Sunny Isles housekeepers will be happy to clean what you need on your schedule. If you’re renting or selling a property, we can help you with that process. And if you’re a renter, we can help you avoid fines and penalties when moving out. Landlord or renter, Spotless Cleaning housekeepers can save you time and money. If you have a property for sale or in-between renters, we’ll rejuvenate it with a deep-clean, making it much more appealing to your potential buyer/renter. And if you’re leaving a property, we’ll do the same for you to make sure you’re not overlooking details that can wind up costing you. Our Sunny Isles housekeepers can also help out with vacation properties. We’ll clean quickly in-between tenants to make sure you’re getting the most rental time out of your property and not losing money cleaning. Whether you need a large office cleaned regularly or are looking for a post-construction clean up, our professional Sunny Isles cleaning contractors are ready to take on the job. We have industrial strength products and top-of-the-line techniques to make sure your property is as clean as it can be. We’ll clean up any debris, trash, or building materials, and can also deep-clean any floors or other surfaces. If you’re looking for South Beach housekeeping services, give us a call at 786-547-2958 or fill out our online request form.